Scarlett Reverie: Ana Karenina: Tonner's adaptation of Vivien Leigh's costume? 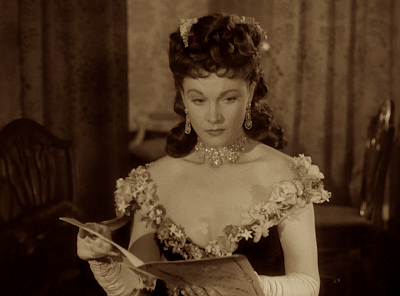 Ana Karenina: Tonner's adaptation of Vivien Leigh's costume? You judge for yourself. The Tonner Ana Karenina gown comes for the 22" doll as well as the 16" doll. You can't fit the wig on your Scarlett though. The wig is wonderfully adorned with flowers and fashioned in the similar way as Vivien's hair is. 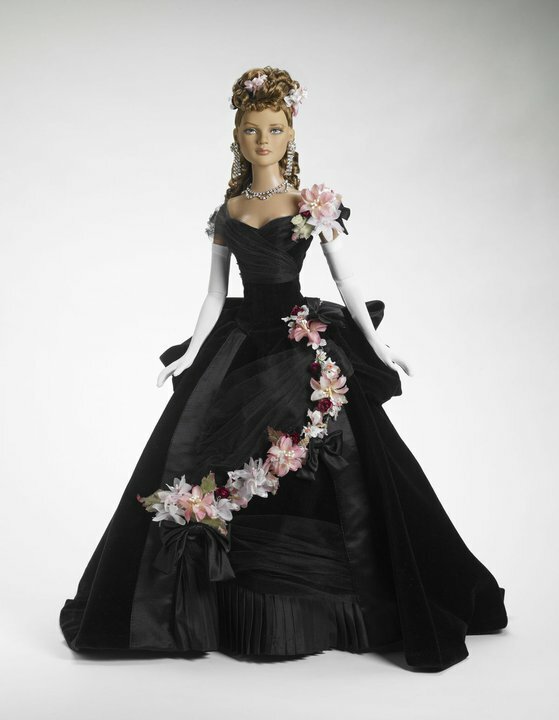 While the gown of Vivien in the film crosses from shoulder to shoulder, the doll version has the flowers only on one side. But the gloves, the jewelry and the gown itself are there. A nice Victorian ball gown for Scarlett or for the Carol Barrie doll (which you can change looks with change of wigs).